The problem is widespread and chronic: cam followers for the high pressure fuel pump in FSI engines are prone to wear. Savvy FSI owners periodically pull the pump and check the follower to avoid costly fuel pump and camshaft damage. Symptoms of advanced cam follower-itis include loss of power, rough running, and an illuminated check engine light. To help you understand and mitigate the problem, we’ve put together a photo tutorial that demonstrates how to inspect and replace your cam follower. Use it with our handy repair kit to keep your FSI running strong. Trentec is an independent auto workshop specializing in Volkswagen and Audi. 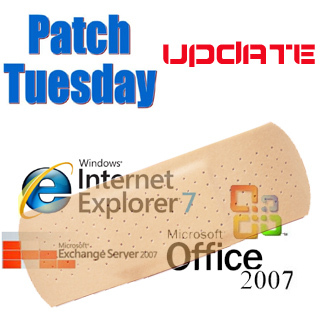 Just a reminder from Perry Hall Computer Repair Patch Tuesday is upon us turn on your computer and let the patches download and install. This will assist in keeping your pc up to date and secure. 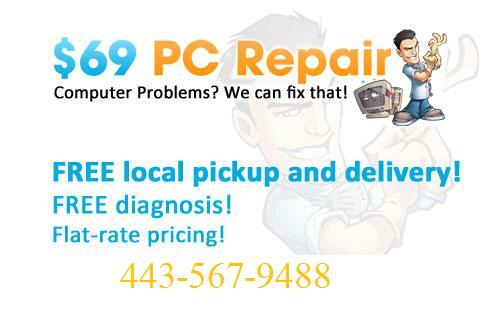 We offer Fast and affordable computer repair in Perry Hall, Maryland area. Who says high quality computer repair has to cost an arm and a leg? $79 Is all you pay + any parts if needed. For Virus removals all you pay is $89 that is it. Quite simple actually. Compare our rates to the big box stores and you will see the value in our service. How do we do it? We do not have a retail store front. Continuing paying $3000 per month in rent and utilities just didn’t make sense to us if we wanted to keep our rates low and affordable. We are now a mobile pick up and delivery service. Our landlords loss is your gain! Free pick up and return delivery – Fast turn around 24-48 hours – Quality service! Perry Hall Computer Repair wishes you all the best in the new year. Are you or do you know someone that takes their computer in for repair at one of the big box stores? Best Buy’s Geek Squad, Office Max or one of the others? If so, do yourself a favor and give us a call at Perry Hall Computer Repair. You can call and speak to a tech at 443-567-9488 and we can determine how we can assist you with expert computer support at a reasonable price. 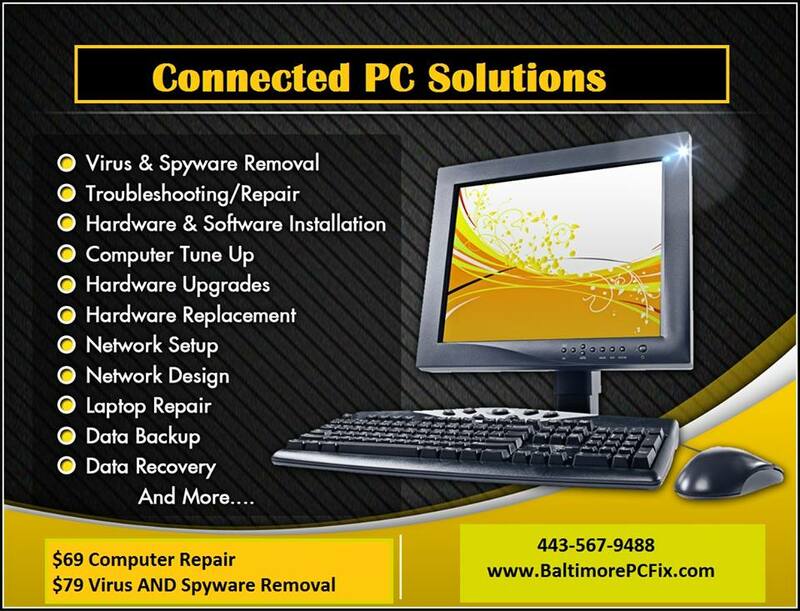 Most of our residential computer repair customers in Baltimore have found that we offer quicker turn-around times and lower costs, not to mention the convenience. You can either drop your machine off at our offices or a tech can come onsite to your home or business. For the same cost or lower, you’ll enjoy a tech that has more experience, at a reduced rate, helping to keep your money in the local community. 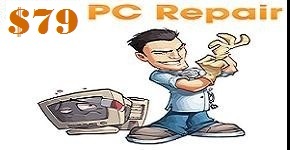 We are a 100% Perry Hall owned computer repair company with over 20 years combined experience in the Baltimore technology community. Our clients are simply the best. They are home users primarily as well as a smattering of small offices. These are people who treat myself and my team as members part of the family. We’re not there just to “fix” what’s wrong but actually there to help and be their partners on the journey. They bake us cookies, buy us gifts and best of all, refer us to others. In fact, I’d say the greatest gift is when they refer their parents. When you care about your parents you want only the best for them. They took care of you while growing up and at this point in life, they need help with their computer. No better compliment than when we get referred to a client’s mother and father. This is what I’m most thankful for. When I realized I couldn’t serve all my great clients by myself, I worked to find just the right people I trust to take care of them. In fact, finding the right people has continued to be the biggest challenge my business has faced and I’m always on the lookout for new people. These highly skilled people have an amazing dedication to customer service and I’m profoundly and deeply grateful to them. These guys are simply amazing. They aren’t just dedicated to the client, but dedicated to the team by constantly helping each other out. I’m humbled by their presence and honored they chose to work with me. There isn’t enough bandwidth to express how much I appreciate them. Happy Thanksgiving friends! 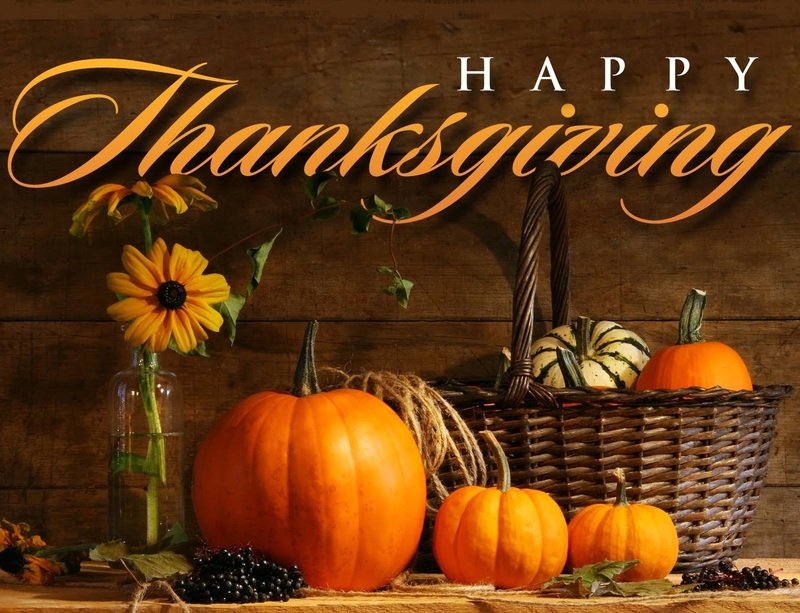 We are thankful for so much… And especially for all of our wonderful clients!